Larus cachinnans 7CY 3P61 January 29 2010, Krems, Austria. Picture: Wolfgang Schweighofer. 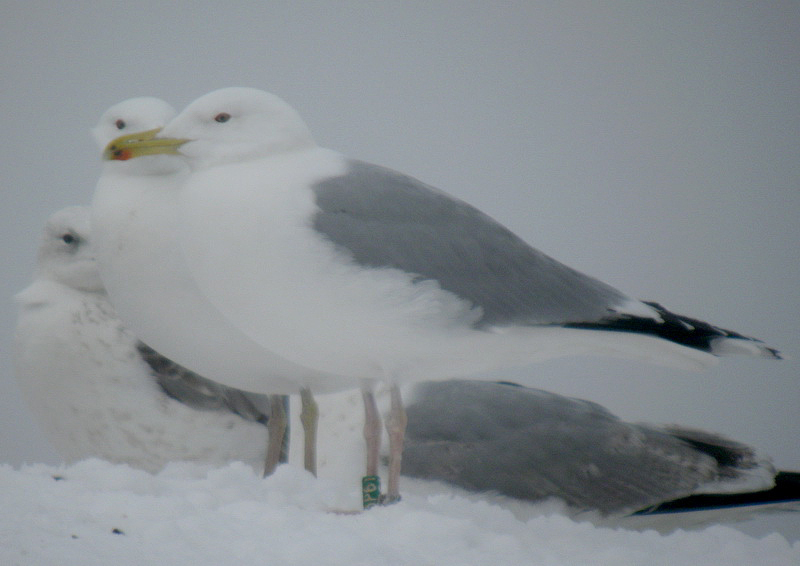 Green 3P61, probably ringed as pullus on May 09 2004 at Wisla Wloclawek Tama, Poland.